Even the educated modern concert goer, well-acquainted with the names of Yo Yo Ma, Rostropovich and Casals could be forgiven for being unfamiliar with the name of Emanuel Feuermann (1902-1942) But during his brief lifetime, Feuermann was almost universally recognized as a peerless master of the instrument. Artur Rubinstein said "Feuermann became for me the greatest cellist of all time," Jascha Heifetz accepted him as the first cellist worthy of serious collaboration and would not play with another for nine years after his death. He was the cellist of choice for conductors including Toscanini, who described him as "the greatest" and said that "there is no one after him" and Szell, who said that he played with "...noblesse and distinction, and with the complete equipment in the service of an artistic purpose.” Feuermann's premature death during routine surgery in 1942 at the age of 39 brought his career to an end before he had a chance to establish the type of widespread fame that Heifetz and Casals secured, but even today—more than 60 years after his death—there is a clear consensus, among cellists who were privileged to hear Emanuel Feuermann play and among those familiar with his recordings, that Feuermann was a cellist without equal. 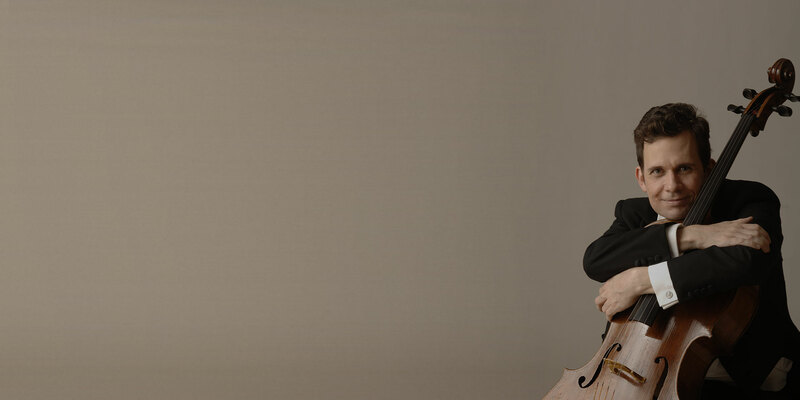 His graceful, elegant playing shows both a warm, Kreislerian musicality and a fluid and facile command of the instrument that many cellists believe has never been approached since. Feuermann's career contains numerous milestones—appointed a professor in Cologne at age 16, world-renowned in his twenties, the first cellist to record the Dvorak concerto, the first to revive the original version of the Haydn D major concerto, the first to premiere the Schoenberg concerto, the first to perform a concerto marathon (16 concerti in 4 days)—the list of accomplishments is virtually endless. But these are really just historical details; for me, what has always made Feuermann so compelling, from the time I first heard his recordings through this day, is the incredible fluidity, elegance, beauty and ease of his playing. Despite the fact that he only recorded on 78 RPM records, with no editing possible, Feuermann presents cello playing with no musical compromises necessitated by technique. Today there are scores of cellists who can play bravura technical pieces, but no one to my mind has ever partnered those technical gifts with the incredible musicianship, beauty of sound , elegance and grace of Emanuel Feuermann. After hearing his recordings and seeing in them a new world of possibilities for the cello, Feuermann became a lifelong obsession for me. I committed his recordings to memory, tried in vain to play along and imitate them, and eventually wrote my Juilliard dissertation on his playing, which gave me the opportunity to meet his sister and his widow and talk with many of his former students (my teacher, Zara Nelsova, also studied briefly with Feuermann) The idea for this recital program was inspired by a recent visit to Feuermann's gravesite in Westchester. A 'tribute' recital or CD such as this generally unintentionally demonstrates the honorees' greatness by showing just how far short of their standards the ones offering the tribute play; I expect this one to be no different in that respect. But even the students of Heifetz who could almost perfectly mirror his technique and phrasing showed only more clearly that the secret of Heifetz's musicianship was something beyond what could be imitated. For me, this program is certainly no attempt to dress myself in Feuermann's mantle—there will never be another player like him. But I find that the more I learn about the cello, the more I understand and appreciate the greatness in Feuermann's playing—much like pursuing a mirage that is always on the distant horizon no matter how far you travel—and preparing this program gives me the opportunity to better understand Feuermann's musical choices and how he played. I am truly grateful that the advent of recordings has allowed my life (and the lives of many others) to be changed by a man who died almost three decades before I was born, and I remain unendingly indebted to Feuermann, who remains on the horizon, opening our imaginations to the possibilities of the instrument and the music. The works heard tonight are all works associated with Feuermann, from either his recital programs or his recordings. The Valentini sonata was originally written for violin and continuo. The cellist Alfredo Piatti arranged it for cello and piano (one reviewer referred to it as a 'de-rangement'...) While Feuermann recorded only the second and third movements, he regularly programed the entire sonata in recital. Like many of the Italian classical sonatas, and particularly in this case because of Piatti's very romantic arrangement, it has fallen out of favor in concert programs in recent decades, but it is a charming work and also fiercely difficult (I am amazed to say that I am still finding this sonata the most difficult thing to play in this entire program of virtuoso works!) A reasonable guess at Feuermann's cadenza in the fifth movement was taken from the recording of his former student, Edgar Lustgarten. The Grieg sonata is another sonata considered old fashioned in many circles, though it has made something of a comeback in recent years. Grieg wrote it to perform with his cellist brother but later also performed it with Casals. Though Feuermann never recorded it, he was an advocate of this sonata and it was, along with the Stravinsky Suite Italien and the Brahms F major sonata, one of his most frequently programed works. The Hindemith solo sonata is a masterful work, and Feuermann's recording of it is likely unequaled. Feuermann played in a string trio in which Hindemith was the violist, and several of their collaborative recordings are available, including the incredibly difficult Scherzo for Viola and Cello, which was composed and recorded in just over 3 hours to fill an extra side of a 78 for a recording session! The solo sonata was written before Hindemith began working with Feuermann, but Feuermann presented the New York debut of this sonata and performed it frequently. The Chopin Introduction and Polonaise is probably Feuermann's best-known transcription. Many cellists have arranged their own virtuoso versions of the originally unassuming cello part, but Feuermann's is the best known. It is generally played in the unfortunate International edition, in which editor Leonard Rose both truncated and altered his transcription of the recording and failed to give credit to Feuermann as the arranger (a slight which resulted in a lawsuit from the Feuermann family but was again repeated with the cadenza for the Haydn D major concerto.) Today a somewhat more accurate rendition is available from Kunzelmann, though, inexplicably, still with no credit to Feuermann as the arranger.